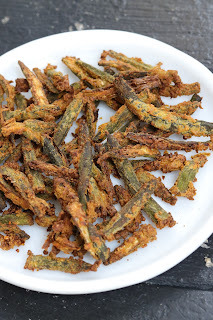 Learn how to make kurkuri bhindi in airfryer. This is a healthy Indian airfryer recipe. The crispy okra also known as kurkuri bhindi Recipe is very popular in India. 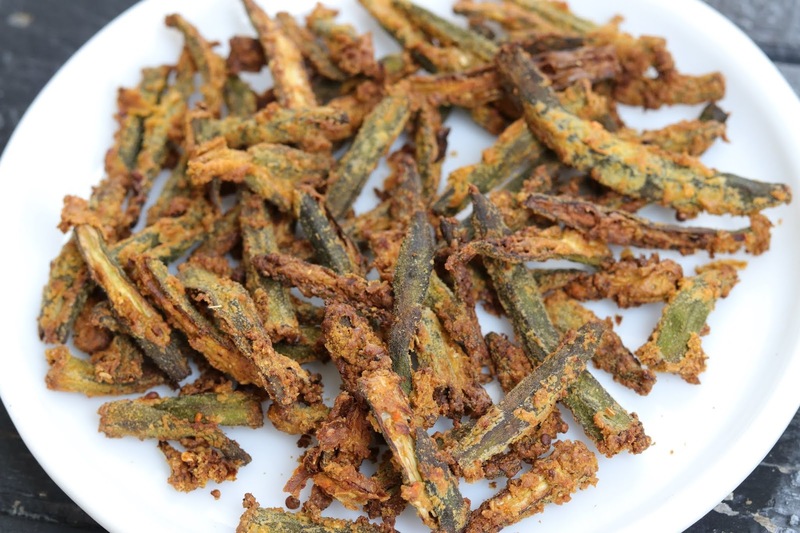 This besan bhindi masala recipe is super crispy and tastes delicious. 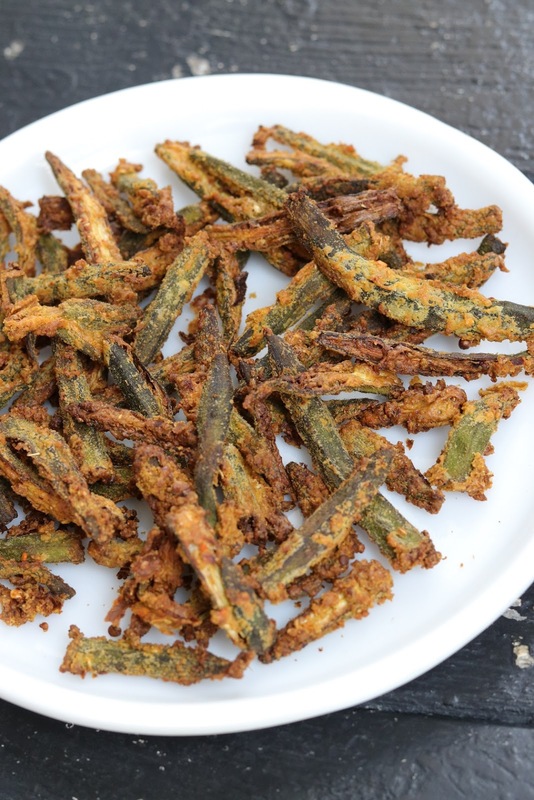 The Crispy Masala Bhindi (Okra) recipe is a healthy crispy snack recipe. 1. Wash and dry ladyfinger. Cut in to 4 pcs lengthwise. 2. In another bowl, add besan along with all other masalas. Mix well. 3. Add the dry masala mixture on top of ladyfinger. Mix well. Add in oil and mix using hands to coat all the pcs well. 4. Allow it to marinate for 10- 15 min. Add lemon juice. 5. Preheat airfryer and put half quantity of coated ladyfinger in air fryer basket. Airfry at 160 degrees for 10 min. Shake in between for even cooking. Then air fry at 180 degrees for 5 min till crispy brown. Kurkuri Bhindi is one of my favorite Curry recipe. I like to eat as my side dish in my lunch menu. Thank you for sharing this making procedure.